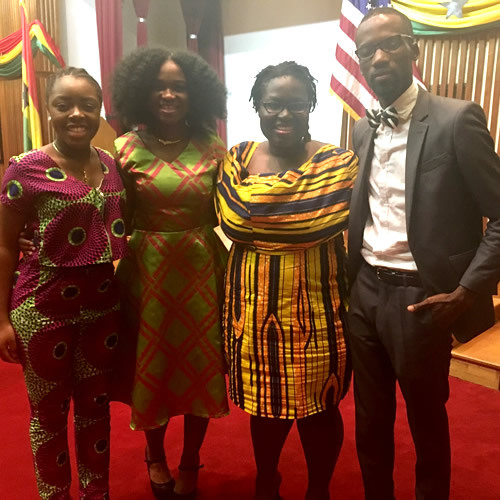 From October 20th-22nd I attended the Quality Health Africa Summit on health literacy in Washington, D.C. Although the conference was centered on health literacy in Africa, there was quite a bit of discussion about general disadvantages that underprivileged Africans face everyday and their response to it. That conversation is what interested me the most during the conference because the purpose of my research is to empower African people by allowing them to choose who helps them in their disadvantage. Many of the speakers pursued the idea that the diaspora should be the spearheads of development in their own countries. One of the speakers, Sylvie Belo, a representative of the Cameroon American counsel, stressed that the suggestions that diasporans make relating to foreign involvement in Africa is more valuable than foreigners blindly and often subjectively making those decisions. Diasporans have direct influence on resources that can benefit people on the African continent, like foreign legislation and foreign aid budgets, and can also introduce appropriate proposals based on their accounts of and familiarity with the state of affairs in their home countries in Africa. After the first day of the conference I had the opportunity to speak to Erwin Boateng, the founder of Quality Health Africa (QHA), about his role in the development of the Ghanaian healthcare system. Since the founding of QHA, Mr. Boateng has made many trips to the rural villages in Ghana and provided them with supplies of medical resources and equipment. He mentioned that his interaction with the people of those rural villages has been made significantly easier because of the knowledge he gained from his mother about the customs and traditions of the people. For example, whenever he goes into a village, he first visits the king or chief of the area and presents them with alcohol. When the king or chief accepts the offering it means that he has the freedom to interact with the people of the village. Insider knowledge like that of Mr. Boateng’s alcohol offering greatly supports the notion that diasporans are in the capacity to be the appropriate avenue for development of Africa. This experience proved to be a wonderful networking opportunity and a sustainable foundation for me to use as a base in my research. That would not have been possible if not for the Kellogg Institute’s International Scholars Program.